The Walk is OUT NOW! – Zombies, Run! The Walk is OUT NOW! We’re ecstatic to announce that our latest app, The Walk, is now available on iPhone, iPod Touch and Android devices! If you enjoyed Zombies, Run!, you’re going to love this one. And if you wanted to play Zombies, Run! but said to yourself “it’s not for me, I don’t run!”, you’ll love The Walk even more. 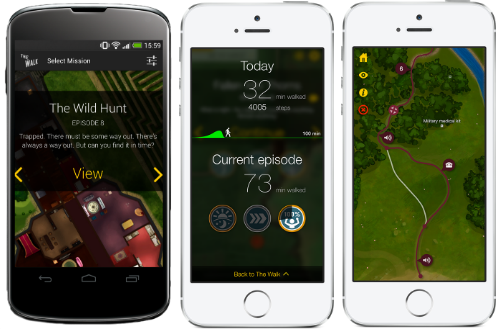 Once again, we’ve mixed fitness tracking together with a gripping, immersive story and game in an unprecedented collaboration with the UK’s Department of Health and the NHS. The Walk will track how much walking you do per day, like a pedometer, and we’ll set you daily goals to help you walk more every day and stay healthy. As you walk, you’ll unlock new parts of the story, which is told via fully voiced audio clips, much like Zombies, Run! The app runs in the background using our special battery saving tracking system and measures the number of steps and the distance travelled on any given day. We’ve previously announced that Zombies, Run! players will recognise many of the voices in The Walk. We’ve brought back a bunch of actors to play all new characters in this story, including Philip Nightingale (Sam Yao), Olga Leon (Archie), Jen Tan (Runner 4 and Nadia) and Victoria Grove (Paula). The Walk is perfect for anyone wanting to keep healthy by being more active. You don’t have to be a fitness fanatic, the game adapts its goals to your fitness history. As reported by the BBC, just 150 minutes of weekly moderate physical activity could significantly improve your health. This could be the most important New Year’s Resolution you’ve ever made. 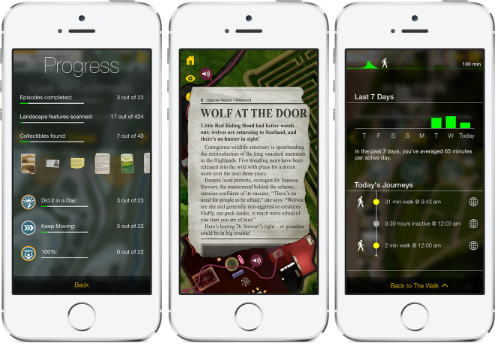 You can grab The Walk right now from the Apple App Store and the Google Play Store. Usually the game will cost $4.99 (£2.99 / €4.49) but we’ve cut the price by 20% for launch to just $3.99! (£2.59 / €3.59). Be quick, though, this special price will only last for a week! For more information, check out The Walk’s website. You can also follow us on Twitter and like us on Facebook. Next Post The difference between The Walk and Zombies, Run!